The app “Opera Mini” (310 KB) is ready to download or send to your phone as filename: “mini8”. i cnt download.and keep open with newtab i notice keeps multiply. ths is a broken link or is it for to gnerate traffic. make a clean download link ok. I don’t understand most of what you said. But the jad and jar download links on this page are links to the Opera Mini jad and jar files, Clicking them should just download the files. If anything else happens I suspect something is wrong with your browser or your internet connection. Why cant i download any apps or java games for itel 6900 touchscreen? 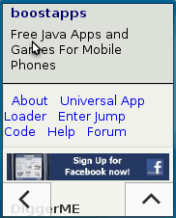 The Itel 6900 doesn’t support Java ME apps. what we do to use it this. You need a phone that supports Java ME and paid data to use Opera Mini. Ensure that you have paid data available and click the download link in the post above. If that doesn’t work see the Help Page for possible reasons and solutions.